Provide order history, tracking, shipments, inventory look-up, order entry, and more. Bezlio’s ability to connect securely to on-premise data sources without opening firewall ports, means that you can publish data directly from your ERP, CRM, MRP, or other on-premise business application so that customers have the ability to do self service. Self service portals give your customers the ability to access relevant information in real-time, saving you valuable time and organizational resources as well as increasing customer satisfaction. Bezlio allows you to easily connect to your on-premise data sources and publish this data in real-time to your customers and clients. Allow customers to see a list of their open orders and drill down to details. Allow customers to search and view their previous order information. Allow customers to look-up tracking numbers based on their order number. Allow customers to look up shipment records. Allow customers to look-up general & customer-specific parts and inventory. Search by order number and share invoice details. Don’t worry about synchronizing data, opening firewall ports, or sharing old data. 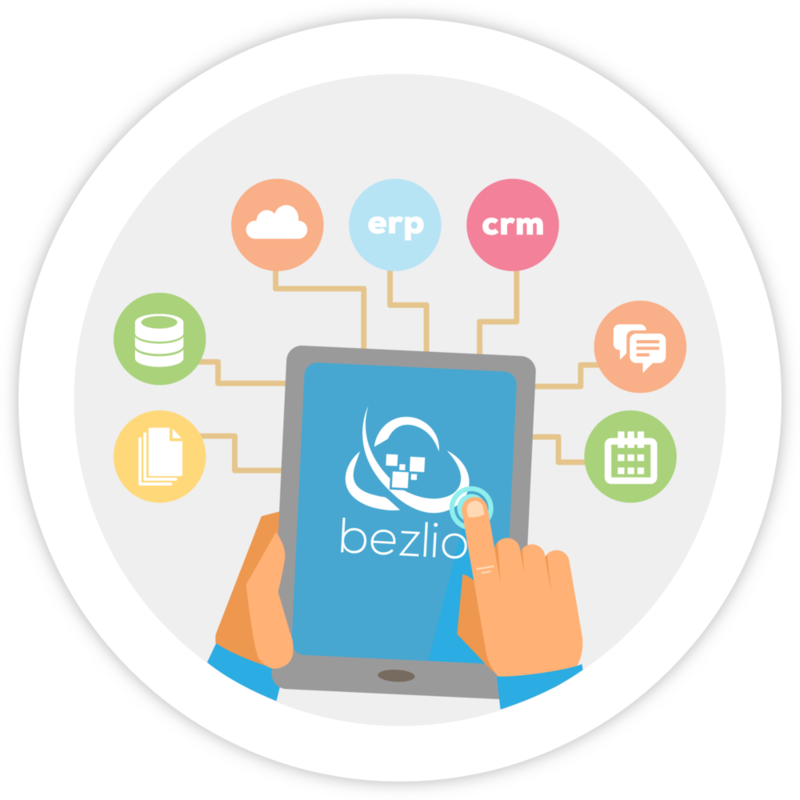 Bezlio allows you to securely share data from your on-premise ERP, CRM, MRP, SCM, or any other application that lives within your network, all in real-time. Share only the data that you want your customers or suppliers to see. 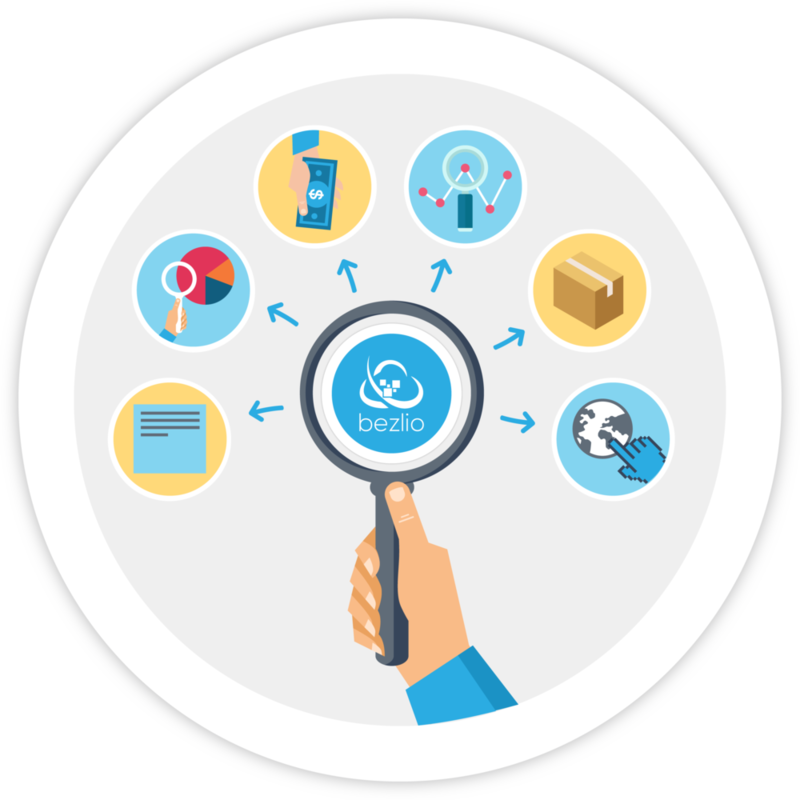 Bezlio’s granular ability to share specific pieces of data means that you have full control over the data that your customers or suppliers can see. Ready to have your customers and suppliers engage with your data? Bezlio’s write-back capabilities mean that you can build small applications and actionable dashboards that allow your users to react to the information they see. Allow customers to place real time orders into your system.